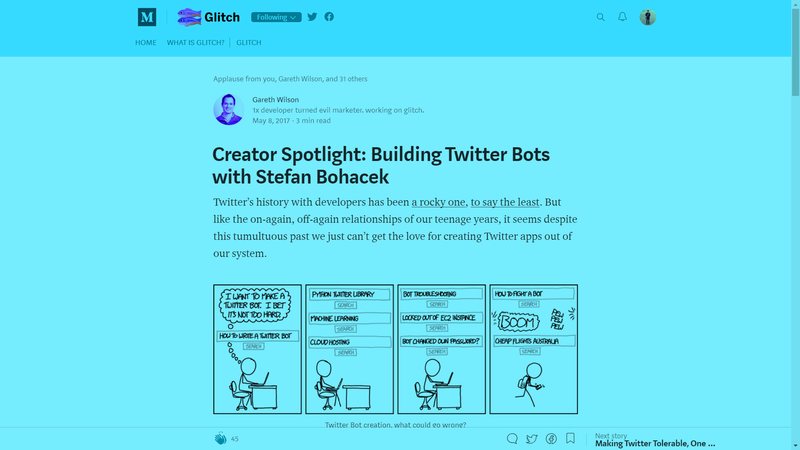 "In fact, it’s Stefan’s Twitter bot templates that power many of the Twitter apps on Glitch." Share a tweet with a bot to have it retweeted. Or, anything else that's cool, really. Learn to make a simple Slack bot and host it for free with OpenShift. See how easy it is to create your own Twitter bot using node.js.